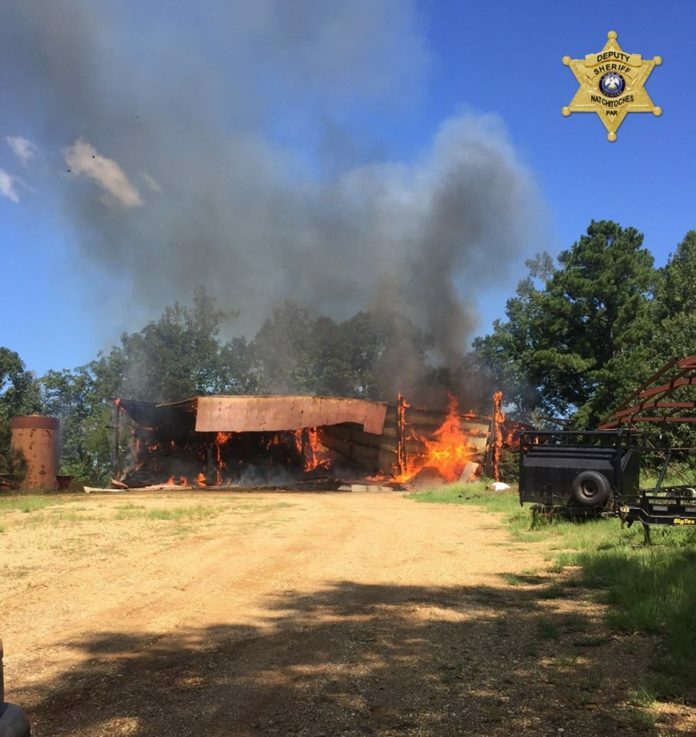 Wednesday, Sept. 6 at 12:50 p.m. Natchitoches Parish Sheriff’s Deputies, Robeline Police, and Natchitoches Parish Fire District 7 were on the scene of a hay barn fire in the 100 block of Post Mill Road near Robeline. The barn owned by Chad Moran, loaded with hay, is reportedly a total loss. NPFD 7 is looking into the cause of the fire.